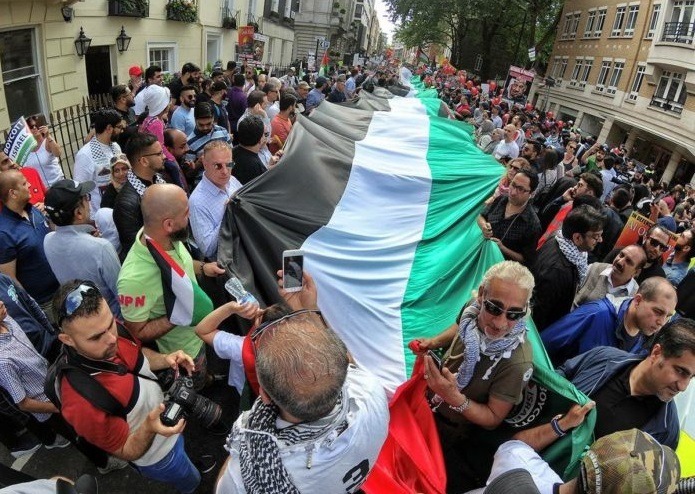 Join us for our annual demonstration in support of the oppressed people of Palestine. Mick Napier is a founder member and has been active in the Scottish Palestine Solidarity Campaign since 2000. He has been on trial for activities arising out of BDS campaigning for six of the last eight years, successfully defeating all of the serious charges. Leaked emails reveal that the US State Department intervened (unsuccessfully) to reverse SPSC boycott victories against the Israeli Embassy in Scotland. He is a frequent contributor to Press TV.